Developers of hearing aids are always looking for new and improved ways of making hearing aids better and more useful in people's lives. Bluetooth technology is being used to make it easier for hearing aid users to connect their hearing aids to various devices for improved sound quality directly from the sound source. 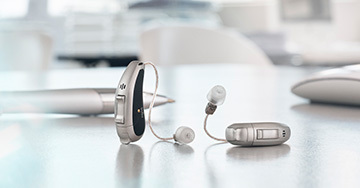 Bluetooth-enabled hearing aids can be wirelessly connected via wireless streaming accessory to devices such as televisions, cell phones, FM systems, GPS systems, and PDA. Bluetooth technology works similarly to wireless Internet, where sounds are sent through an invisible electronic signal. The Bluetooth accessory is compatible in most styles of hearing aids, including behind-the-ear (BTE), mini BTE, in-the-ear, and in-the-canal styles, though each manufacturer provides a different array of products and accessories that are Bluetooth-enabled. What are the Benefits of Bluetooth-Compatible Hearing Aids? As with any hearing aid, Bluetooth-compatible devices have some benefits and downsides. One benefit is that using Bluetooth technology allows you to obtain a better sound quality when using your hearing aids with your favorite electronic devices. Think of them as a wireless pair of headphones: they are convenient and cordless for high-quality sound. Many years ago, the telecoil was a new, exciting technology for hearing aid users to be able to use landline phones. Similarly, Bluetooth is now becoming the exciting new technology for making connectivity to the everyday world a more widespread and reliable possibility for hearing aid users. Making phone calls, using a tablet or computer and even watching TV at home can be an enjoyable experience for the tech-savvy user. Bluetooth can also eliminate the annoyances of technology use with traditional hearing aids, such as feedback and static noise interference. When Bluetooth-compatible devices are streaming to the hearing aid, the microphone inside the hearing aid may be turned off or turned down, depending on the hearing aid you are using and the way it is set by your hearing specialist. This can have its disadvantages, as you won't have amplification of other environmental sounds around you during use if you prefer that. Bluetooth-compatible hearing aids do require some simple set up steps before they can work with electronic devices, so you may require some help from your audiologist or technology-savvy child. As stated before, they also require the hearing aid wearer to use a small transmitter accessory. The transmitter converts the Bluetooth signal from the electronic device or mobile phone to a wireless signal that is understood by the hearing aid. Being out of range of the transmitter means that the Bluetooth signal will not reach the hearing aids. Bluetooth-compatible hearing aids and accessories can also be pricey and may not be worth it for someone who doesn't regularly use a cell phone, MP3 player, computer or TV. If you are interested in Bluetooth-compatible hearing devices, talk to your hearing specialist about all of your options. Let them know of the listening situations you are in each day and the types of other devices you use throughout the day. 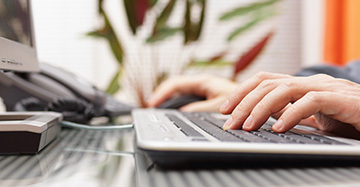 Ask to see a hearing aid and the streaming device and experience a real-time demonstration. Talk to your hearing specialist about how Bluetooth-compatible hearing aids could make your daily interactions with your world a better experience. A great selection of hearing products to meet all your hearing loss needs. Find our what our Audiologist can do to treat your hearing loss!